Innovation is not an invention. However all inventions are innovations. Innovations include objects and substances, but processes, strategies, methods, and ways of doing things. Innovations are how we make money from creativity. 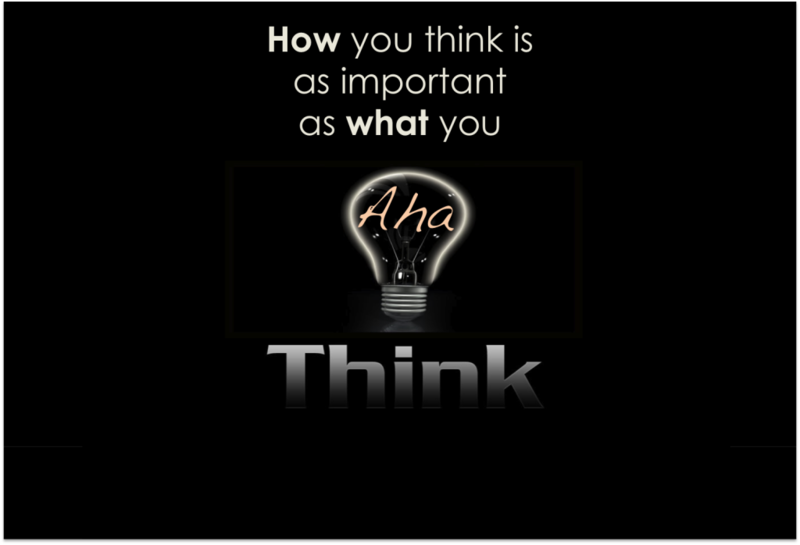 How you think is everything. Think success. Think about Innovation. Think about not following the tried and true but breaking away and find a better way to do something. New approaches may require a stimulus on service. Bring fresh ideas to your clients. Understand their ‘pain’ and find the cure. If you are truly an expert you bring solutions to your clients’ problems before they ask you. We get more proactive in our clients’ business by being a problem solver. Engage your clients over the long term. Learn their business. They are not interested in your business. They only want to know how what you offer will benefit them. It’s the product, of the product, that matters. Today your clients want solutions. They want results. You’ll know because you will see, hear, and feel their Aha moment. And your Aha comes with the realization that you are earning their business and trust. Determining the problem is more difficult than finding the solution. Know your clients’ business well enough to refine the problem so that you are the only solution. Clients remaining engaged in the relationship if they see that you bring innovative solutions to them. We are born curious. As babies we experiment with everything around us, as children we ask endless questions, but as adults we learn to accept instead of remembering how we used to act. Develop ideas, write down observations, and explore new ways to do routine things. Make a commitment to test your knowledge and ask What IF? Be daring, be different, be impractical, be anything that will show integrity of purpose. Have an imaginative vision for your client. Do not become a creature of the commonplace or ordinary. Today’s thinking is based on future results. Past thinking is history. Do you want to control your future or live in the past? The choice is yours. RULE 4: Be Different. It’s better than being commonplace.